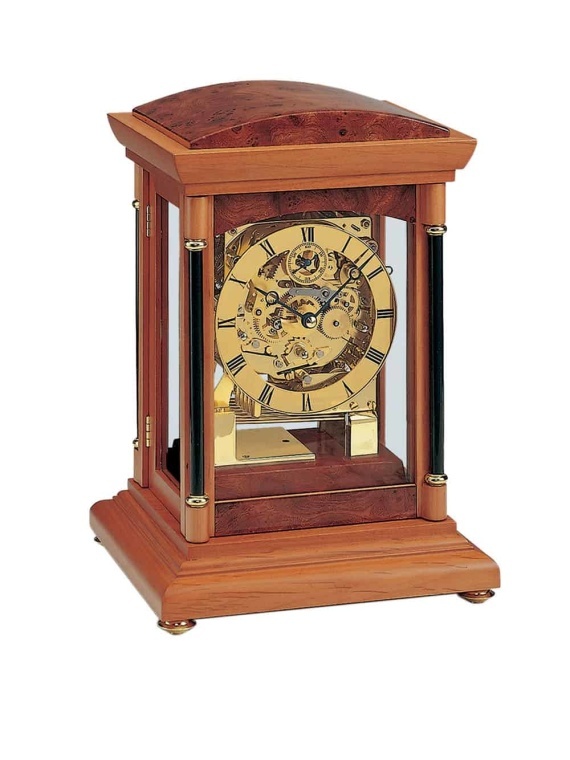 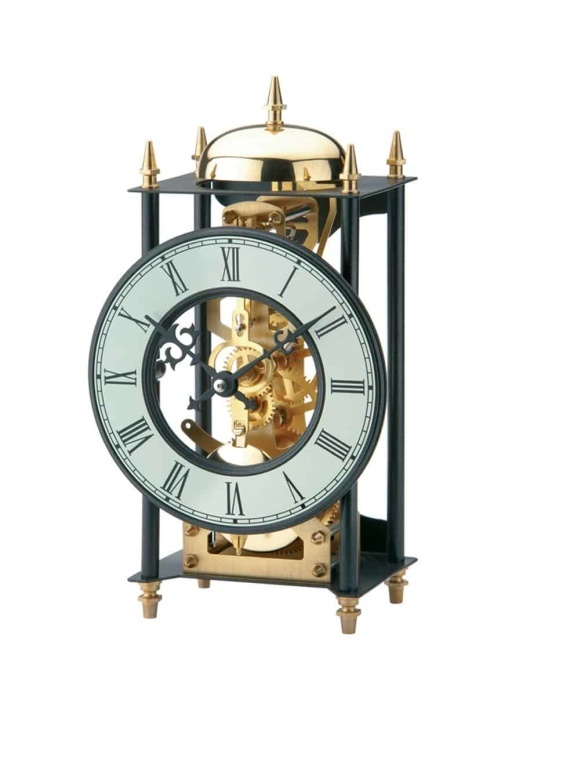 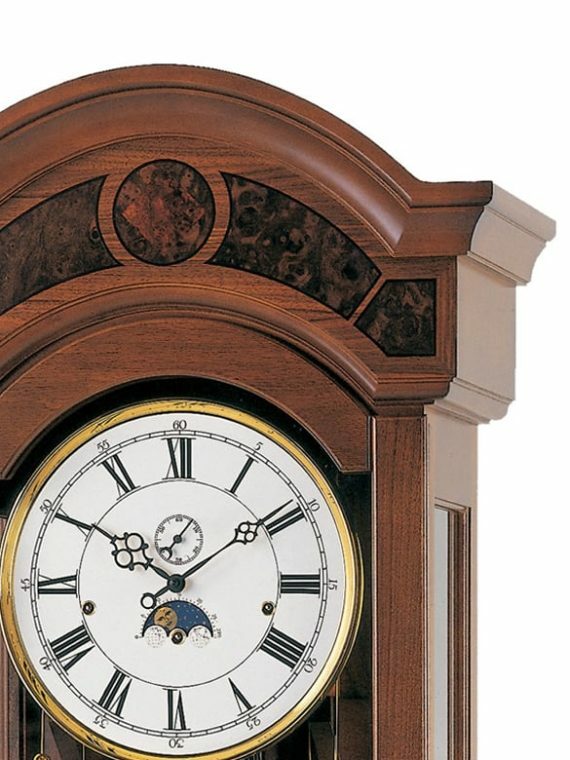 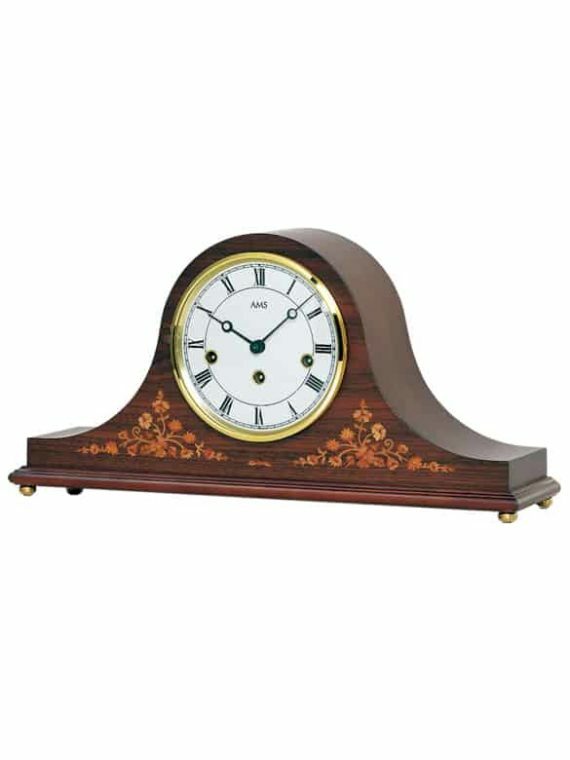 Mechanical oak finish wall clock (colour as inset in picture) with a gong strike German movement. 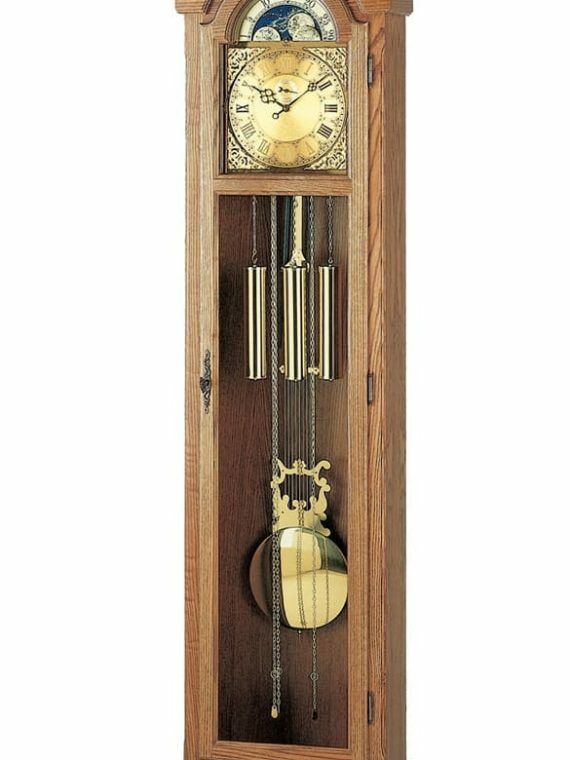 Strikes the number of hours on the hour and a single strike on the half hour it has a chime silent leaver and is key wound. 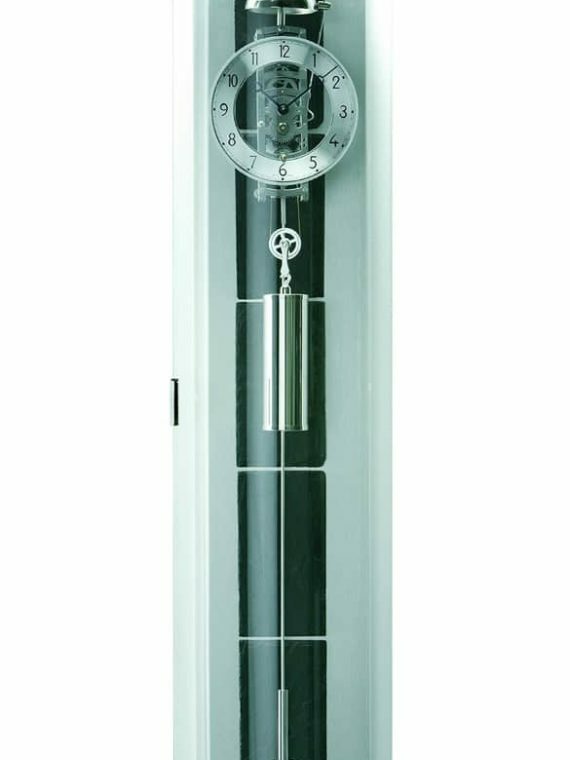 Decorative opening door with Mineral Glass panels. 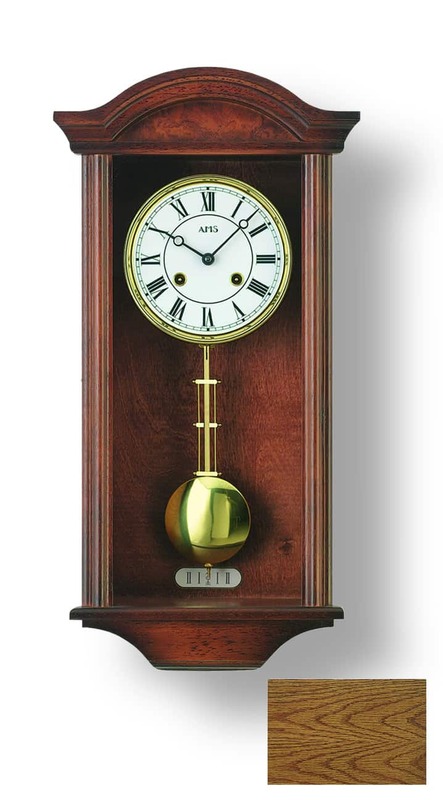 Brass Finish Pendulum.